Surrounded by Jews and madmen in 1931 Germany, which would you choose? Ask Gretchen that question at the beginning of the story and she would tell you that Jews were madmen, a sub-human race to be feared and degraded. She has no reason to think otherwise. As the daughter of the famous Nazi martyr, Klaus Muller who jumped in front of Hitler to take bullets and save his life, her path until now has been close entwined with the family friend she calls 'Uncle Dolf'. But several chance encounters with a young investigative reporter Daniel, who also happens to be a Jew, give Gretchen cause to wonder whether the past is really as it has been described to her. The events leading up to her father's death and the way he died are called into question. And her quest for answers proves stronger than the fears of what might happen to her in the process. The deeper she digs, the further she finds the layers of lies go. Everything in her upbringing, in the propaganda that has been fed to her all her life tells her she shouldn't trust this boy and all he stands for. But when her hero Hitler fails to save her from a brutal encounter with her psychopathic brother she has nowhere else to turn. Instead, she is surprised to find solace and gentleness in his company. And together they realise they must uncover the truth no matter the cost. This leads them on a dangerous journey, eliciting the truth from those closest to Hitler without the others realising the importance of the information they are giving away. The more Gretchen uncovers about her beloved father, the more she wonders whether she ever knew his true nature. And all the while, Gretchen must play a role. Feigning a demure and compliant young girl within the National Socialist party circles, where one wrong word or look could prove her undoing. Despite her caution outside events overtake her and she finds herself pitted in a desperate battle for survival against the most powerful man in the country. I have to admit for all I've read and heard about Hitler and World War II, I was pretty clueless about the years leading up to it. The fact that Hitler was preaching the 'exterminate the Jews' message for nigh on ten years before the war even started and that he had been diagnosed as a 'classic psychopath' after some time in a special hospital after suffering from hysterical blindness in World War I was news to me. The author did a fantastic job of weaving the stories of real-life characters like Hitler, his later to be mistress Eva Braun, his half-niece Geli, and other high ranking Nazi officials with her own characters like Gretchen and Daniel. I was actually quite surprised just how many real historical events were able to be woven into the book without it seeming too staged or contrived. There are many World War II stories out there to be read, but very little has been written of Germany in the 1930's especially from the perspective of a girl who has the first-hand opportunity to be awoken from her Nazi slumber. This is more than a love story, or a narrative on the events of the time. It is also a deeply disturbing, psychological thriller which will leave you turning pages furiously and hoping against hope for good to overcome. 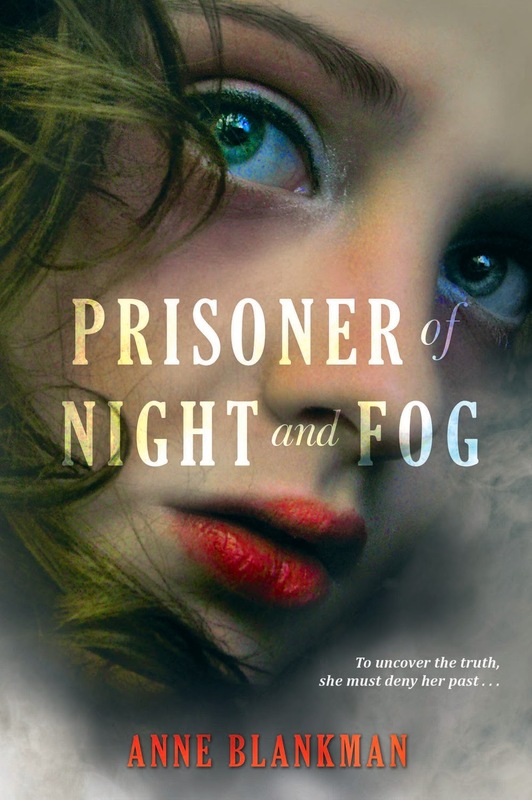 Prisoner of Night and Fog by Anne Blankman published by Hachette NZ is available from 10 June 2014. Disclaimer: I was given a copy of Prisoner of Night and Fog in exchange for my review. I am not being compensated in any other way.